“Luchtafweergeschut”, a.k.a. 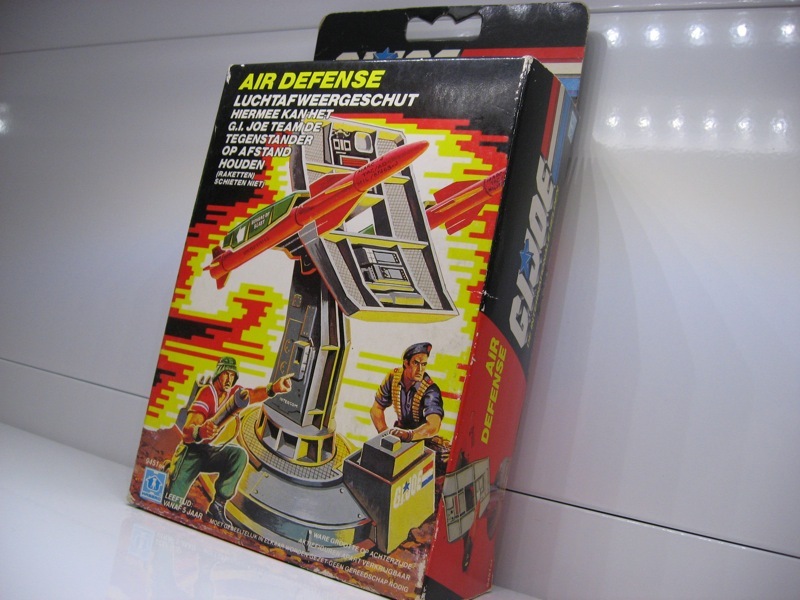 “Air Defense” is part of the first series of G.I. 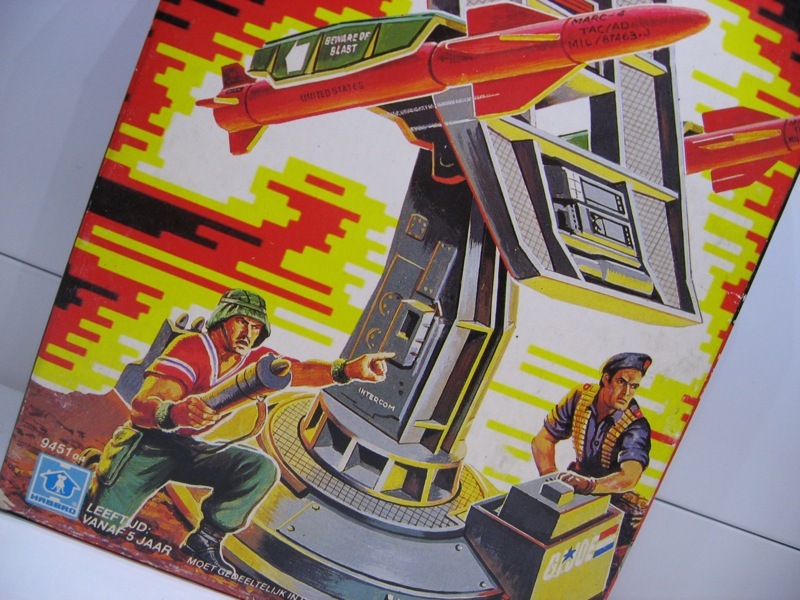 Joe toys that were released in the Netherlands in 1987. 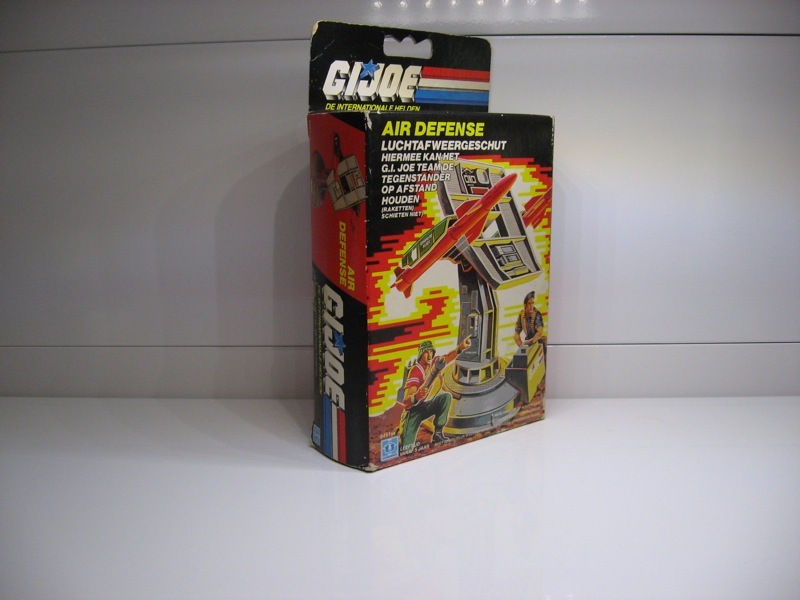 I fondly remember going over the G.I. 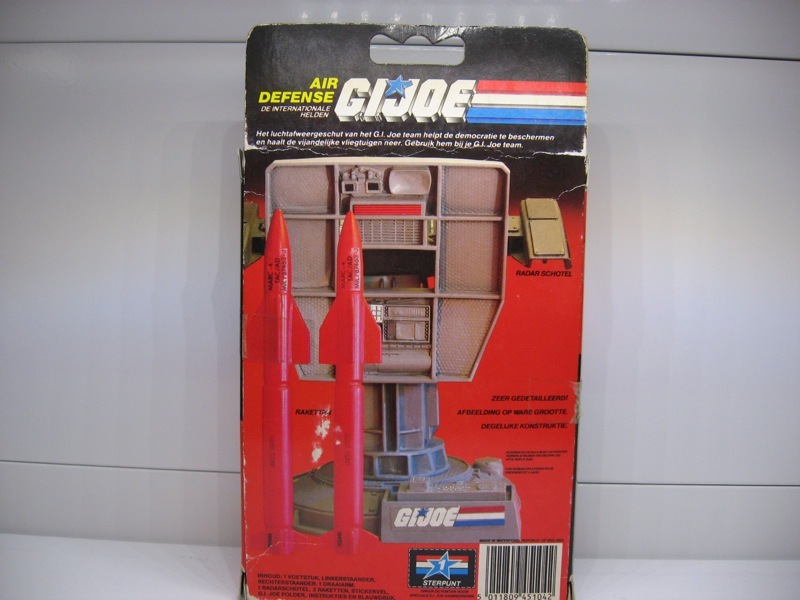 Joe catalog over and over again and drooling over each and every action figure, accessory and vehicle. 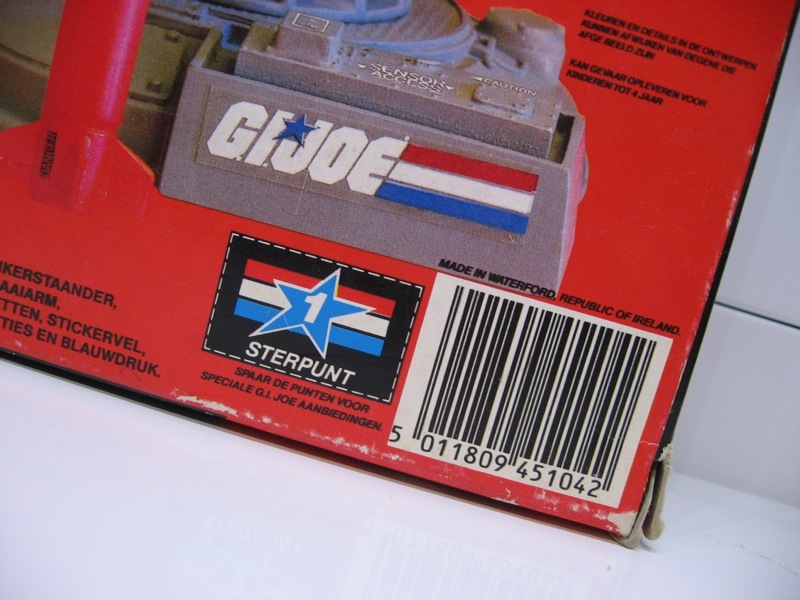 The Netherlands saw the first two series of G.I. 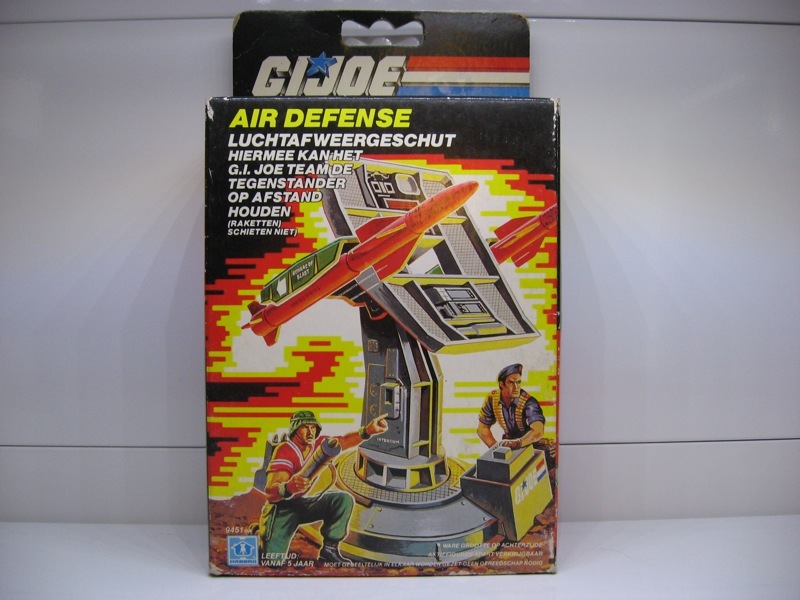 Joe toys released in all-Dutch packaging, which is pretty exceptional for those days (and even for these days, come to think of it). The flip side, though, is that these are now extremely hard to find. 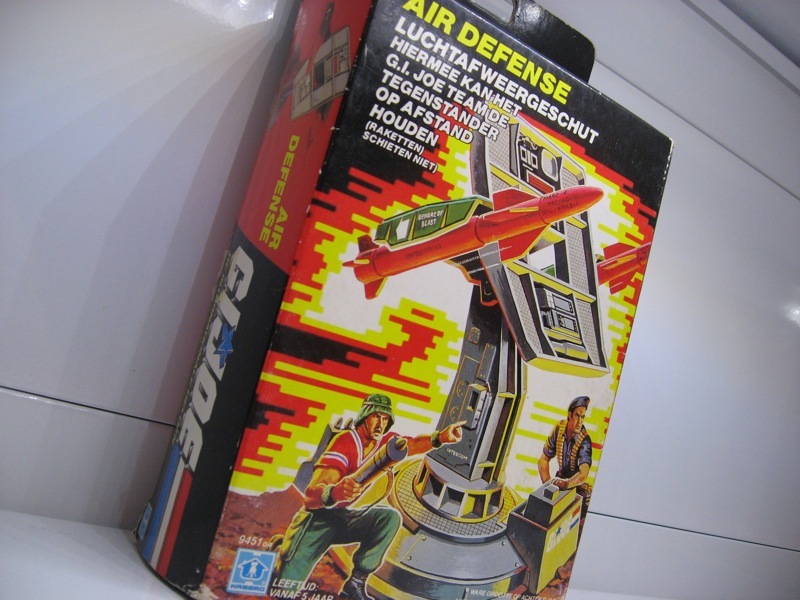 Fortunately I was able to track down this Dutch version of Air Defense recently. The box is in pretty good shape as are the contents. As a bonus, the artwork on the box features 2 of my favourite characters, Flint (“Kei” in Dutch) and Bazooka! Good times! !